In February 1896, as if to start its fireworks for the new century a little early, the American magazine Garden and Forest printed a spectacular full-page photograph of this clematis that must have sent countless gardeners streaming out to nurseries to get one for themselves. 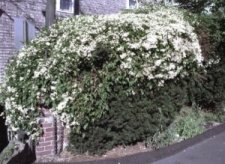 It was not really 'new' -- it had been grown in Europe since the 1770s, when the Swedish botanist Thunberg sent it from Japan, and a few New England nurseries carried it in their lists -- but with the large-flowered hybrids always at the forefront of the clematis news it had been little-known before Garden and Forest took up its cause in the 1890s. Nowadays it is a different story. This species is grown in quantity for the garden markets, and indeed so much of it is naturalized in wooded lands across the Unites States -- primarily in the milder climates -- that Americans often assume it is a native species. They are not alone: for years that winter standby from England, the catalogue of the Fisk Nursery, listed it as 'The Sweet Autumn Clematis of America'. As far as one can tell, this little miscue has never interfered with the popularity of the plant in Europe, or in the several Asian countries where it is in fact native. What is extraordinary about the species is its sheer wealth of bloom. The vine is slow to ripen, so the bloom comes late, and it can be scanty in areas where frosts come early. But where the wood has sufficient time it will regularly produce great drifts of white to creamy-white blossoms, extending to as much as thirty feet if it is encouraged to climb, or building a great mound at half that height if it runs out of support. It is so prolific in mild climates that gardeners joke about spending odd moments next Spring extracting its seedlings from their beds and borders. The individual flowers are small, with four widely-separated tepals and prominent stamens that span out in all directions, giving the whole display a frothy look. And as their name promises, they are sweet-scented. For some nostrils the scent resembles hawthorn, for others vanilla, and there are doubtless other findings, but all agree it is delicious. Though the plant can be massive, it accepts early-season trimming and can be kept low, or guided into a tree, or draped to cover bare or unsightly spaces. 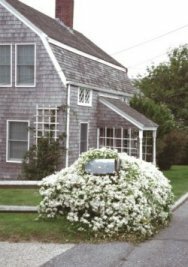 (For those fairly numerous gardeners who write in to ask what clematis might be a good choice for clothing a mailbox --the sort that is set on a post -- the answer need not be C. 'Jackmanii' or another standard hybrid. 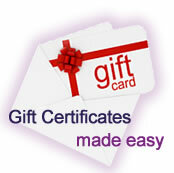 Here is another possibility.) Since it flowers wholly on its new wood, the topgrowth can be taken down almost to earth when bloom is past, or left at any convenient height over the winter. The name at the top of this page is C. terniflora, and thereby hangs a tale. 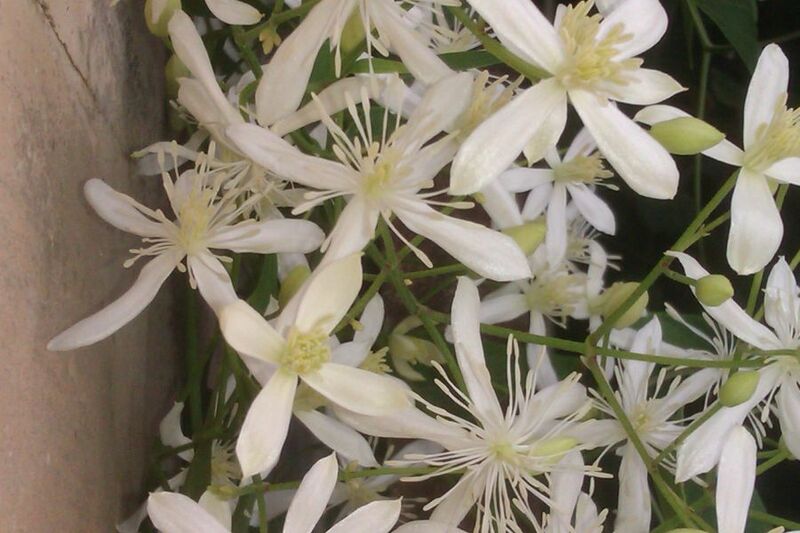 Many gardeners grew up knowing this clematis as C. paniculata. That is the name under which it was received from Carl Peter Thunberg, and it persists even today in some quarters. 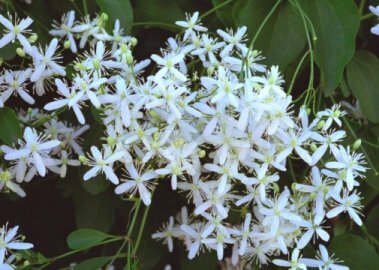 But taxonomists have long agreed that the name C. paniculata rightly belongs to another clematis, the New Zealand species often known also as C. indivisa. Well, what then is the correct name of the Sweet Autumn Clematis? A long series of attempts to settle the identity of this species has produced more than a little confusion, partly because it is not quite clear that the experts were always talking about exactly the same plant. Synonyms have come and gone -- or come and NOT gone -- and it is only recently that C. terniflora has been accepted as the correct name and displaced all the others. This may serve to explain why the Sweet Autumn Clematis is identified in some lists, and some books, as C. maximowicziana, in others as C. dioscoreifolia, and in still others (the sleepiest of the lot) as C. paniculata. These are names that deserve respect for the scholarship that stood behind them, but they should now be retired -- along with a recent arrival, C. ternifolia, that seems to be a product of mere carelessness. Though lovers of clematis may be glad to see those hard spellings disappear, many of them might also wish the code of nomenclature could somehow find room for a name as comfortable as "Sweet Autumn Clematis". 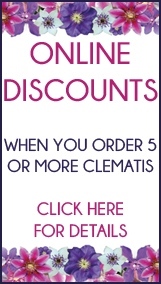 Clematis Shoppers online: 393 .